Last week I mentioned that on Saturday Ferrari was auctioning off that one additional LaFerrari Aperta that it had built with all the proceeds going to the charity Save the Children. That auction has come and gone, and the gavel dropped at $10 million. That bests the $7 million price the normal LaFerrari built last year to benefit Italian earthquake victims by $3 million. 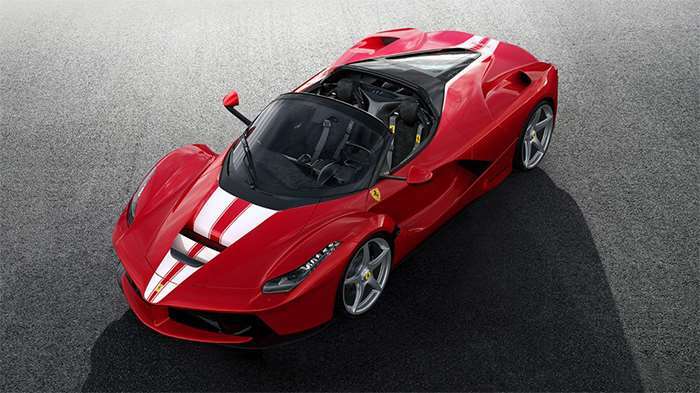 This special Aperta wa the 210th car out of a planned 209 that Ferrari built and came in a special paint scheme. The auction also saw some big money spend to a couple other exotic Ferraris. A California 250 GT SWB sold for $9.5 million. A 1958 250 GT Cabriolet Series I sold for $5.7 million. That aluminum-bodied 365 GTB/4 found in a barn in Japan after decades lost raked in a bit over $2 million.